Progress in Biophysics and Molecular Biology, Vol 92(1); 2006. UV Exposure Guidance: a Balanced Approach between Health Risks and Health Benefits of UV and Vitamin D. Proceedings of an International Workshop. 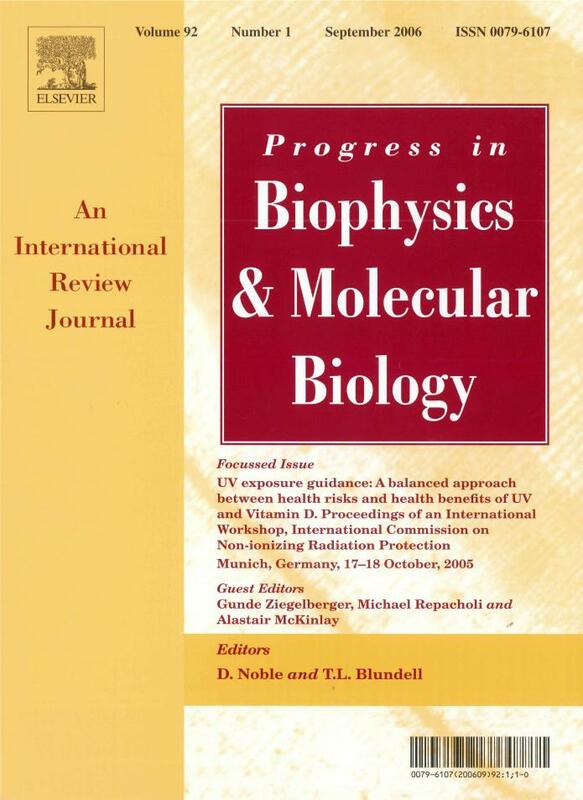 Progress in Biophysics and Molecular Biology, Vol 92(1); September 2006. Content: UV-exposure is well recognized as the main cause of skin cancer. As a consequence, sun protection is required at times and locations where the UV radiation levels are high. On the other hand small amounts of sun exposure are essential to good health and fosters the Vitmain D production in the body. Some epidemiological studies supported the beneficial effects of sun exposure by revealing a link between a number of cancers and low Vitamin D levels. Thus, it is necessary to work on a balance between avoiding skin cancer and maintaining optimal vitamin D status. Does sunlight have a beneficial influence on certain cancers? What is the optimal vitamin D status for health? Is a differentiated advice by season and region necessary?